IPC's Action was one of a new breed of boys' comics launched in the latter half of the 1970s. 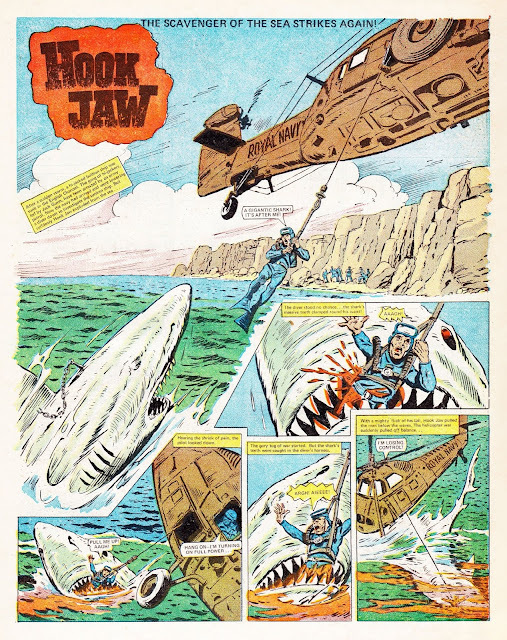 It was widely criticised for its violent content and one issue was famously withdrawn and pulped by IPC leading to a two-month absence from the newsagents' shelves. 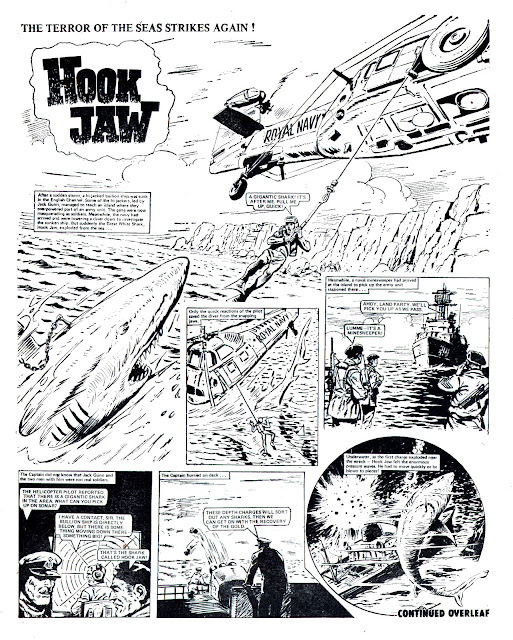 Hook Jaw, the strip which took pride of place in the colour centre pages, was designed to cash-in on the success of the film Jaws. 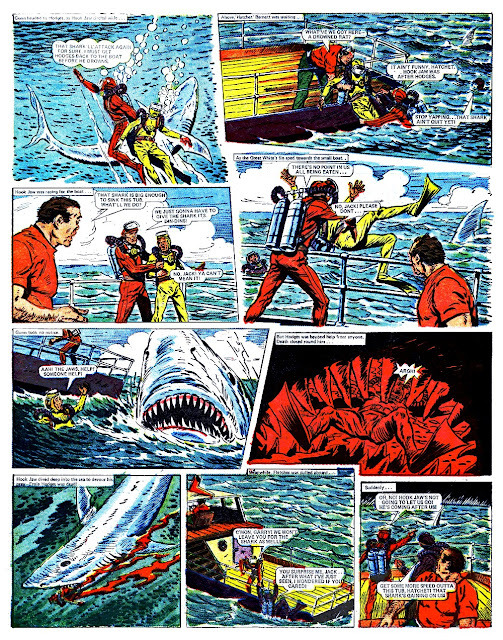 Not unusually scuba divers sometimes fell victim to the eponymous shark as can be seen in this page from issue one (Art by Ramon Sola. 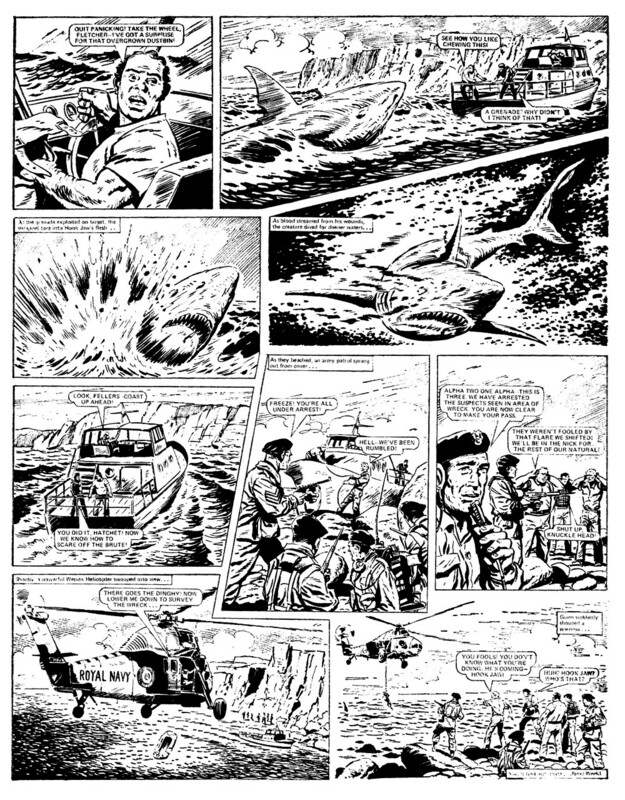 Click for larger image). The writer had a rather shaky grasp of diving physics and physiology. 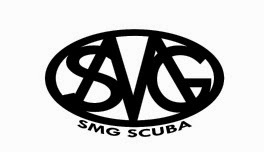 The diver seen shooting to the surface literally explodes when he gets there and another character proclaims that this was due to nitrogen narcosis! The following pages come from the final issue to be published before the ban hit. 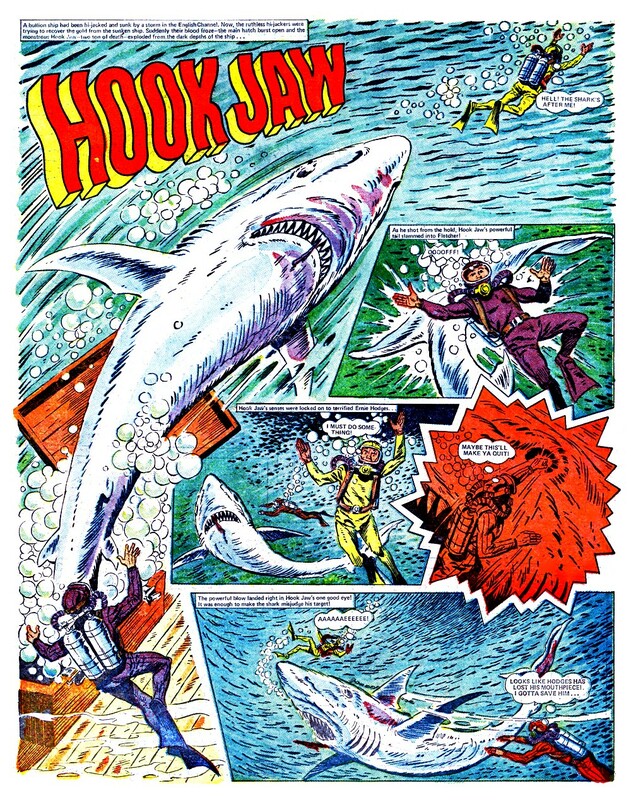 As you can see, Hook Jaw is still up to his old tricks. 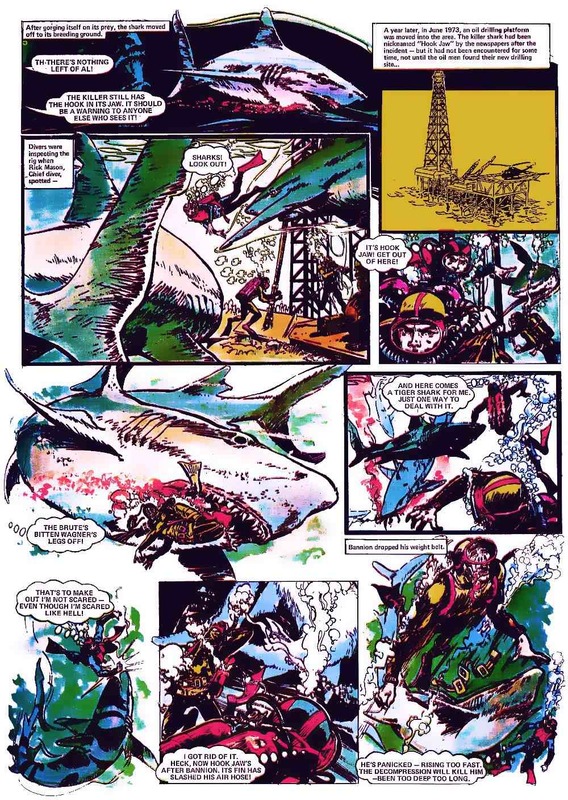 (Art by Felix Carrion). Finally, we'll take a look at a page from the issue that was pulped and the edited version that appeared when the publication resumed.